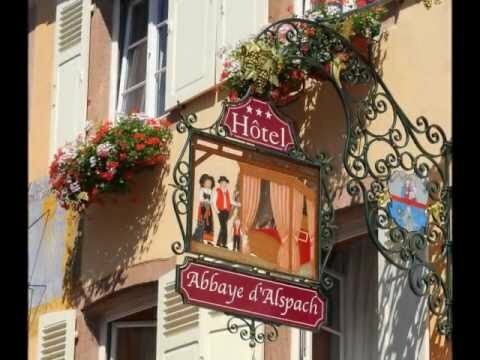 Once a Clarisses Convent in the 11th century, at the heart of the Mediaeval town Kientzheim, Abbaye d'Alspach Hotel, welcomes you in a rustic setting full of local colour. This superbly converted, stylish hotel with 29 rooms and 5 suites all decorated in an individual style, welcomes you in an atmosphere of peacefulness and elegance. For your well-being, the fitness room and sauna invite you to take time out. A pleasant garden corner shaded by vines offers you a moment of complete relaxation. After a peaceful night, you can enjoy a copious breakfast with plenty to choose from. Breakfast is served on your terrace or as a buffet in the spacious lounge decorated with flowers, as you wish.